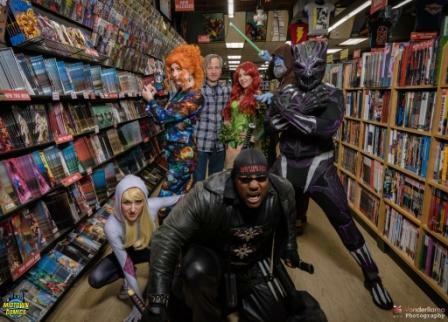 Midtown Comics, the United States’ largest comic book store, is partnering with The Leukemia & Lymphoma Society’s (LLS) Westchester Hudson Valley (CTWHV) Chapter for an upcoming charity sale. 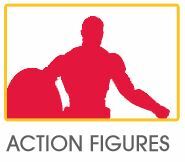 Midtown Comics teamed up with 2016 CTWHV Man of the Year Candidate, Todd Zavorskas of Team Zombie Leader, for the special sale to benefit the LLS mission: Cure leukemia, lymphoma, Hodgkin’s disease and myeloma, and improve the quality of life of patients and their families. Todd has volunteered for LLS for over 24 years raising over 175K during that time. 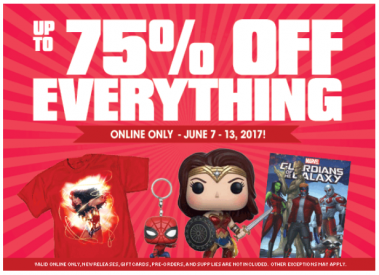 The sale offers up to 75% off everything including comics, back issues, select back issues, graphic novels, books, manga, statues, action figures, collectibles, apparel and more. A portion of proceeds will be donated to The Leukemia & Lymphoma Society for the third year in a row. The previous two online Midtown sales brought in over $8,400 to help eradicate blood cancers. 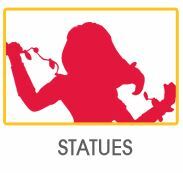 Supporters can shop the sale from March 7-13, 2018 at www.midtowncomics.com. FLASH SALE! 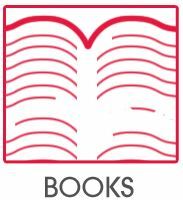 20% OFF EVERYTHING – 24 Hours Only! 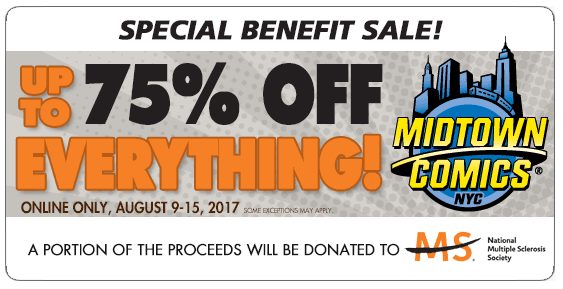 Midtown Comics is joining forces with the National Multiple Sclerosis Society to help end the disease forever! You can join the fight to save lives – and you’ll save a ton lot of cash, too! From 8/9/2017 to 8/15/2017, you can get up to 75% off EVERYTHING – yes, you read that right, 75%! and a portion of the proceeds will be donated to the National MS Society! This includes comics , back issues, select back issues, graphic novels, books, manga, statues, action figures, collectibles, apparel and MORE. This sale is online only, and some exceptions may apply. Our Blowout sale this week is in honor of everyone who is affected by MS, and a portion of the proceeds of this great sale will be donated to the National MS Society, in conjunction with the Bike MS: New York City 2017 event, to take place on October 22. Support MS Awareness – Up to 75% OFF Everything! Please read on to see how MS has affected one of the mighty Midtown staff, Mike Staub. “Hello, Midtown Comics Customers and fans of all assorted types of Entertainment Culture, I’m Mike Staub Web Coordinator here at MC. I am ecstatic about the upcoming fundraiser we have planned to benefit the National Multiple Sclerosis Society. MS has had a significant impact on my life as well as the lives of more than 400,000 Americans and 2.3 Million people Worldwide. My mother is a current MS survivor. She lives with this disease and luckily, my family and I have been able to create a loving and positive environment around her. She was first diagnosed in 2003 when I was 16 years old and has lived with the disease for the past 14 years. During this period of time we have learned much about the illness, but also how to handle it day-in and day-out. MS is a challenging illness to handle as it’s completely effected by emotional state, difficult to predict, and it creates a very slow-moving environment for the person who is sick. People with MS, in conjunction with physical disability, can also experience extreme fits of depression and anxiety. Their disease is tapped into their emotions, and those around them. While staying positive is tough, those with MS need their caregivers to stay as steadfast as they can. As much as it’s easy to allow the illness to induce depression in those around the sick person, I’ve learned that the only way to conquer MS is to handle each day with undying positivity. The person affected with MS doesn’t need people to commiserate with, they need positive support. If you have someone with MS in your life, make them laugh, cheer them on, and get involved. This will show them that while they may have some disability, there are plenty of helping hands and smiling faces to comfort them. Enjoy saving some money and making a difference, Midtowners! 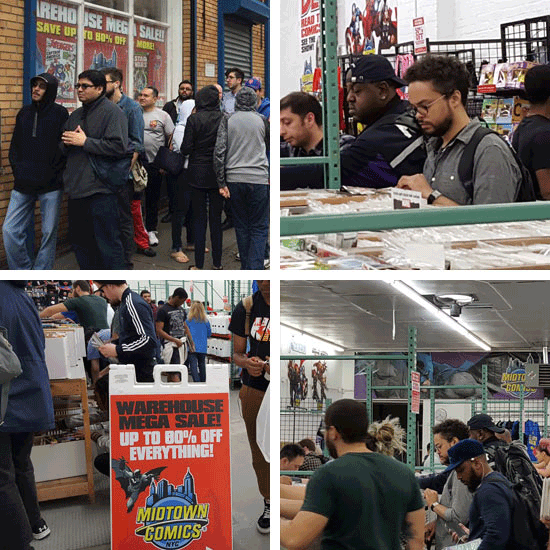 Midtown Comics Warehouse MEGA Sale: July 15th! 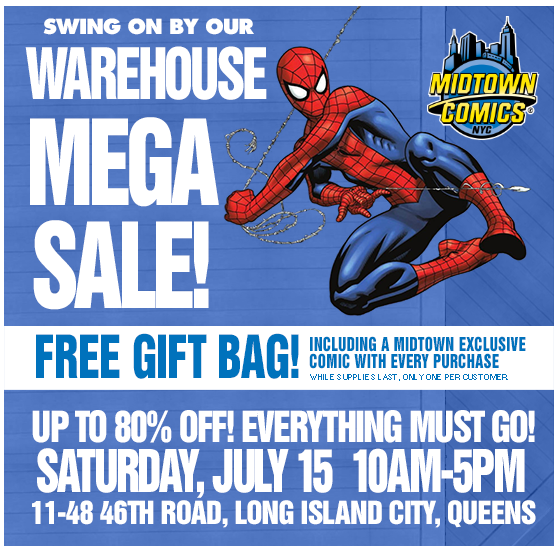 Grab your webs and swing by our MEGA warehouse sale! There’s a webload of new stuff in this sale: Funko POP figures, Magic, Bandai, and more! 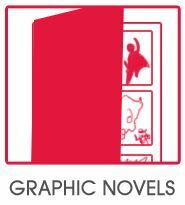 You can save up to 80% OFF back issues, action figures, graphic novels, collectibles, DVDs, and more, Saturday, July 15th from 10am-5pm! Our MEGA WAREHOUSE SALE is easy to get to, and only minutes from Grand Central Station. See below for detailed travel instructions. 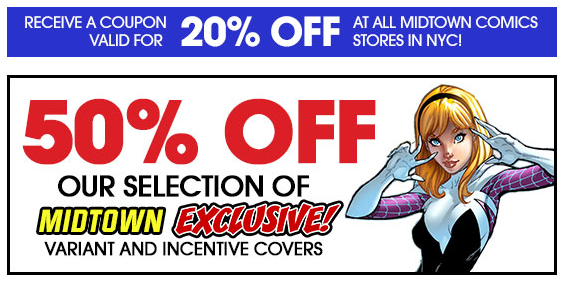 The Midtown Comics Summer Blowout Sale is here! The temperature is rising and so are the sales! We are offering UP TO 75% OFF OF EVERYTHING !!! With hot deals on back issues, graphic novels, statues, apparel, and much more, the best way to beat the heat is to soak in the sales! For one week only, we are offering unparalleled savings, so be quick to click on our biggest deals of the season. 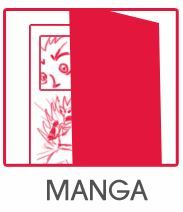 New Warehouse MEGA Sale: June 17th! Dads & Grads: celebrate at our MEGA warehouse sale!